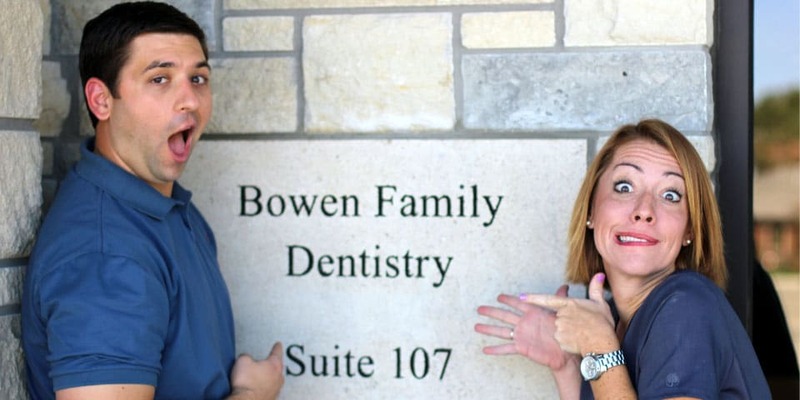 Bowen Family Dentistry is a family-friendly dental practice. Dr. Adam Bowen and our staff treat children, teens, adults, and seniors, all in one convenient place. You should feel right at home when you come. Although we have a comfortable, “homey” atmosphere, we are equipped with modern tools and technology. Not only will you enjoy our environment, you will also be comfortable with the professional care you receive. Don’t worry if it has been awhile since you have seen a dentist. We are a no-lecture dental practice. We are delighted you are considering Bowen Family Dentistry to help you get back on track with your oral health care. You will be welcomed by our friendly, highly-trained staff who look forward to getting to know you and your family. We offer high quality dentistry with a personal touch to make you comfortable during your visit. Our services range from family dentistry to high quality and beautiful cosmetic dentistry. If you need a checkup and cleaning, or you have more complicated needs, we are ready to help. If you are in any pain or discomfort, please call us right away. We would love to meet you! Please give us a call at (785) 789-4468, or use our convenient online form on our appointments page. See you soon!